The plot by the Galactic Unionâ€™s Mercenary Guild against the Four Horsemen has culminated in an invasion of Earth. Faced with an overwhelming force, the Human mercs had no choice. Theyâ€™ve fled, leaving Sansar Enkh to go to the Mercenary Guild headquarters on Capital Planet to stand trial for humanity. 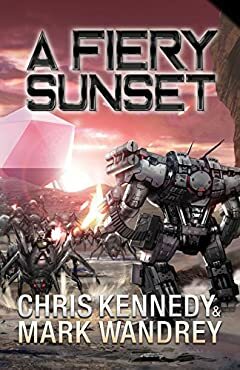 On the run, Jim Cartwright and Nigel Shirazi have travelled to the Winged Hussarsâ€™ secret base of New Warsaw, in an effort to convince Alexis Cromwell to join the fight, while the other mercenaries who escaped the fall of Earth have gone to the perceived safe haven of Karma. Alexis Cromwell is reluctant to commit to an unwinnable fight, though, and there is no safety to be found in Karma. When the Mercenary Guild Tribunal is revealed to be a sham, the Horsemen are forced to chooseâ€”is it better to hide and protect the Human race, or is it time to fight for what they believe in?